19 archipelagos, 26 atolls, and altogether 1190 islands – those are the Maldives, Southwest of India situated in the middle of the Indian Ocean. The archipelago stretches over 500 miles in North-South direction. Locals live on 220 islands, more than 80 are reserved for tourists – 99 percent of the total area of the island state is covered by water. Sandy beaches, palm trees and lagoons form the scenery of this dream destination. You’ll only find cars in the capital of Malé and two additional islands; ships, water planes or bicycles and mopeds are the preferred means of transport. The only international airport lies on Malé, where you’ll also find charter catamarans. The Kaafu-Atoll, where Malé is located is divided into the North-Malé-Atoll and the South-Malé-Atoll with altogether 125 islands. 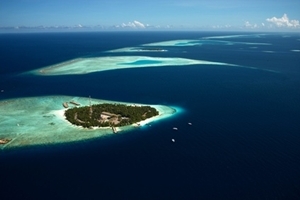 Yacht Charter trips from Malé could for example lead you to the islands of Hengeli, Madivaru or Kandooma. The Tropical climate always makes for agreeable warmth; the months from November until April – the time of the Northeast monsoon – are best suited for travelling into this region. The monsoon from the Southwest however, which falls in the mid-European summer, often comes with intensive rain. 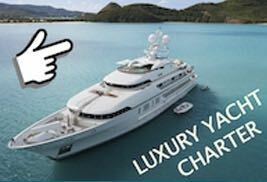 At the Maldives we offer Diving Safaris on chartered luxury yachts with crew.